Chalet of 200 m2, four bedrooms, 2 bathroom and toilet, smooth walls, air conditioning ducts with heat pump, community pool, garage, living room of 32 m2 with fireplace. Vertex of two basins, Titulcia - also Bayonne - has been a crossroads of civilizations, crossroads and battlefield. Its natural environment is included in the Regional Park of the Southeast. There are archaeological and documentary remains that demonstrate the human presence in the lands of Titulcia for thousands of years. Special mention should be made to the vestiges of the Roman era since the town was an important hub of communications between different points of the Iberian Peninsula. Not many later historical references have been found, so it is believed that the municipality was practically uninhabited until the times of the repopulation developed in 1085. Titulcia - which until 1814 was called Bayona de Tajuña. The artistic heritage of Titulcia offers interesting examples. The set formed by the Plaza Mayor includes, among others, the building of the City Council -with attached municipal buildings- and the Church of Santa María Magdalena. This seems to have its origin in the sixteenth century. In the locality they also emphasize the Bridge of Stone on the Tajuña river - of the XVIIIth century- and the caves excavated by the human being to use them as residence or agricultural dependancy, some of which continue being used. Titulcia has road communication with Ciempozuelos 5 Km. Villaconejos 10Km. Chinchón 15 Km. Madrid 42 KmBus Lines 415 Madrid (Legazpi) - Villaconejos Madrid - Getafe - Ciempozuelos - San Martin de la Vega - Chinchón - Villaconejos - Titulcia 416 Valdemoro (Hospital) - Titulcia - Colmenar de Oreja Valdemoro - Ciempozuelos - San Martin de la Vega - Titulcia. 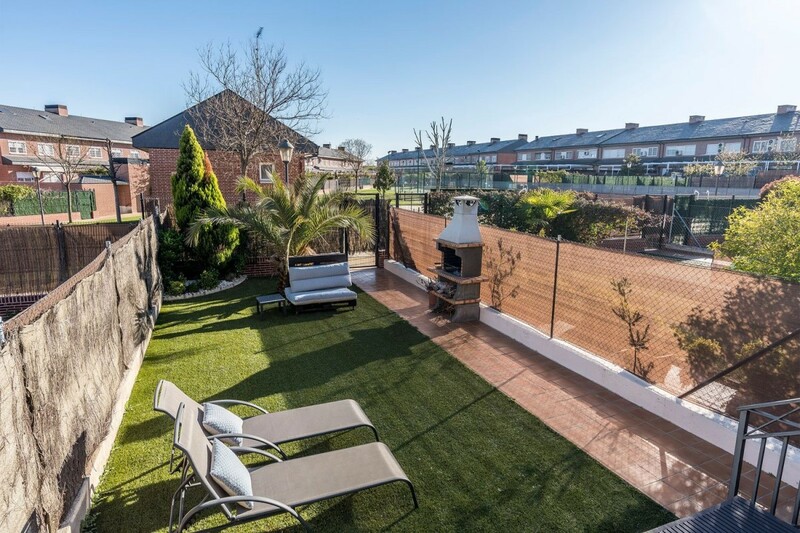 Ideal home for a family that wants a home in a quiet area but well connected, near the Escorial or Madrid without being in the chaos and noise of the city itself, a natural and healthy environment for children. On the ground floor with American kitchen attached to the large living room, garage for several vehicles, full bathroom and entrance hall. In this plant, due to its large dimensions, a large bedroom could be taken out, thus making the ground floor of the first one independent. On the first floor there is a large and bright living room with a large terrace with unbeatable views to the mountains, this room has well differentiated the living and dining area, on this same floor we have a kitchen with windows at two orientations so we have great natural lighting and ventilation as well as beautiful views while we cook. There is a complete bathroom and two double bedrooms, finally on the third and last floor there is a completely open area and ready for bedroom, playground, TV area or whatever you prefer, also on this floor we have a room full bathroom. As for the qualities of the house say that they are quite good, individual heating by gas-oil boiler, interior carpentry of oak and aluminum exterior, on the ground floor and first we have a wood burning fireplace that gives a very cozy atmosphere to the stay. The plot has a large pool next to a gazebo that has a picnic area with its bench and table for a very pleasant family evenings, awning that covers this area for the sunniest hours, this whole area is plastered with stoneware and very good condition with hardly any need of maintenance. Throughout the plot we have several fruit trees such as pine trees and native trees, there are no green areas to avoid a very large maintenance expenditure. The plot has access to two streets, Berna street and Zurich street. 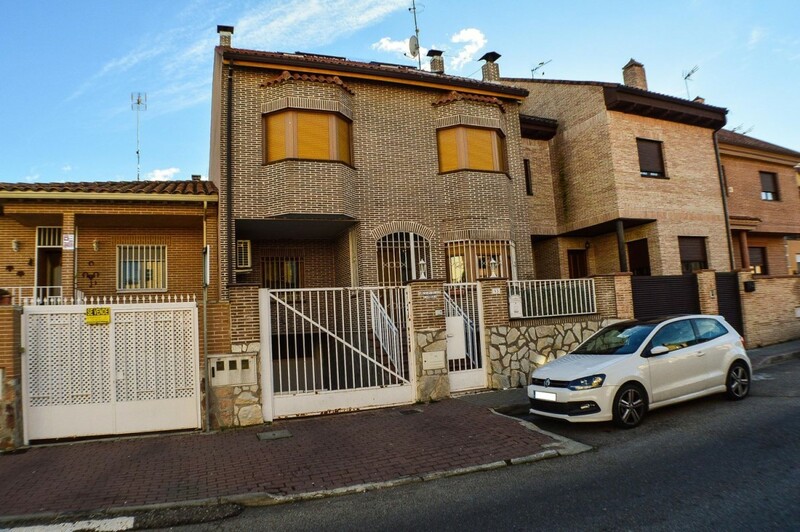 The house is located within the Urbanización La Suiza Española, easily accessible from the outskirts and with several bus lines from different points, from Madrid and Ávila and one hour by car from Madrid. Robledo de Chavela has all the services, schools, bars and restaurants, pharmacies, medical centers, suburbs and buses, shops, etc, and all within a few minutes walk of the house in question. 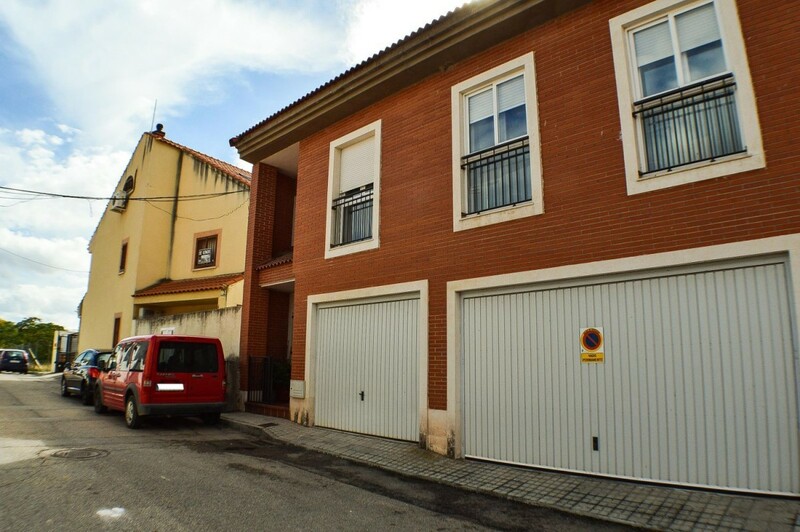 Beautiful townhouse in one of the best and quietest areas of El Escorial. Currently distributed in a spacious and bright living room with fireplace ducts, with access to a large patio, 3 bedrooms (one en suite with built-in wardrobe), kitchen, two bathrooms (one of them large and easily divisible in two, with the possibility of integration in another of the bedrooms), private garage with direct access from the house, and two more spaces for storage / storage. 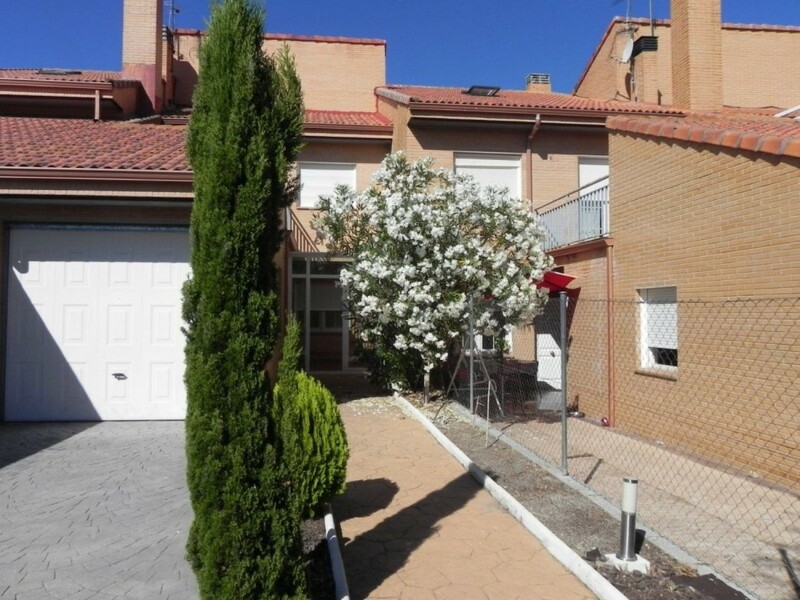 Very quiet private residential area, surrounded by green areas, Renfe station, bus stops. Do not hesitate to contact us for more information or to arrange a visit, and remember that we do not charge fees to the buyer. Making the ideal home for your family? 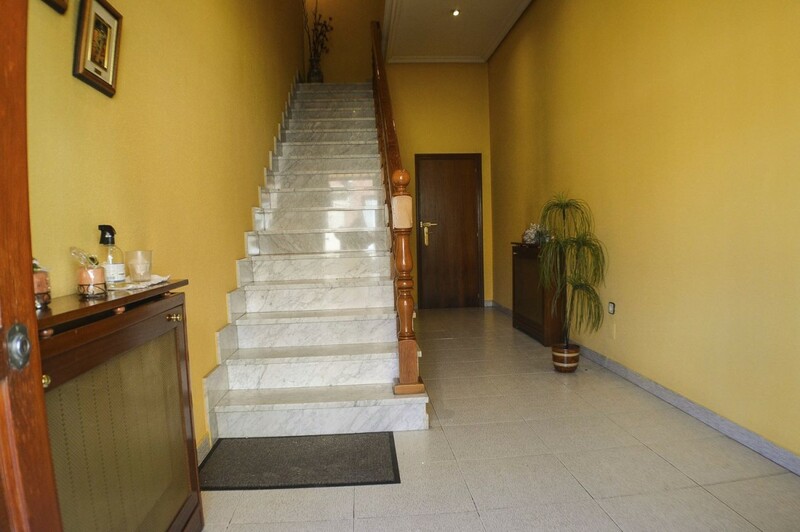 Then, you have to visit this beautiful villa for sale in Mataelpino. 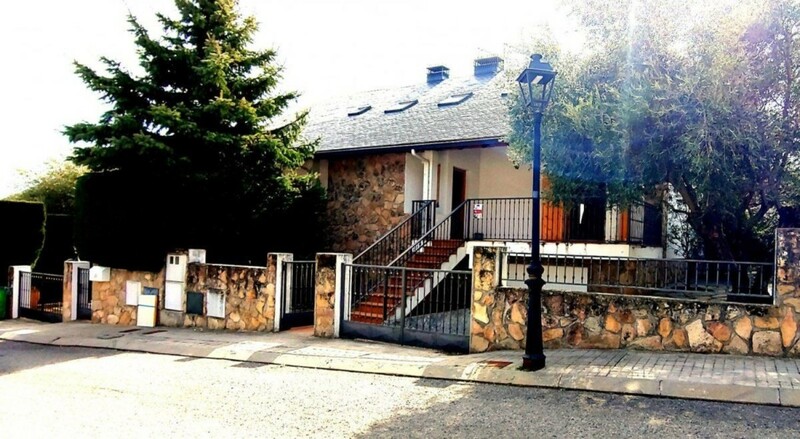 Great, and in very good condition, semi-detached house in the village of Mataelpino, in El Boalo, in the Sierra de Guadarrama. The house of 222m2 is built on a plot of 260m2. Very well preserved, it is distributed in 3 floors: The semi-basement consists of a large garage, with capacity for 3 large cars. It was used as a storage room since it is easy to park in the surroundings. Some neighboring houses have made reforms in this plant, transforming it into rooms. It has direct access to the house. The ground floor consists of the porch that gives you access to a large living room with fireplace and a dining room. On the same floor there is also a separate kitchen with enough space to put a table, and a toilet for visitors. The kitchen has exit door to the back patio-garden. On this floor we find the access stairway to the garage and the staircase to the upper floor. The first floor is composed of two full bathrooms with bathtub, and 3 bedrooms: one large with en suite bathroom, one medium and one smaller. All bedrooms have fitted wardrobes with drawers and are in perfect condition, given its little use. The bedrooms have sloping ceilings, but the height is like that of any other room. The back patio-garden of the house is accessed from a door located in the kitchen. It is very well cared for, since although it was only lived in the house for a couple of years, the entire property has been preserved with due care. The floors are porcelain and the exterior carpentry, as well as the doors, are made of natural wood, heating and hot water are natural gas. It has an alarm system with a call to the police. Mataelpino is an area with beautiful views and a very quiet place, surrounded by nature; near viewpoints, spa and hiking routes. Cheer up to visit, without commitment. We are sure that seeing you will make you feel at home. Call us. Terraced house of own construction, structure of concrete formwork, on plot of 204 m2, 358 m2 built, 260 useful, 4 floors, on the ground floor we find an office or bedroom, kitchen, living room and bathroom with shower; on the first floor, bedroom ppal. spacious and bright and with a bathroom with shower and tub, 3 double bedrooms with fitted wardrobes, bathroom with bathtub; on the second floor diaphanous attic with Velux windows, toilet, dressing room and small terrace, the whole house has pre-installation of air conditioning, individual heating by solar panels and thermodynamic energy, piped music throughout the house. Patio with gazebo, built-in barbecue and 20 m2 pool with underwater windows. Garage for several cars with storage area and warehouse. The owner, who is a painter, will deliver the newly painted house. Located in a residential area with schools, nurseries, institutes, etc... in a radius of 500m. close to commercial areas, Ciempozuelos has commuter line C-3, 30 min. to Atocha, urban and interurban bus lines, direct line to Hospital Infanta Elena. Spacious semi-detached house of recent construction (2008). Five bedrooms, four on the first floor and one on the ground floor, currently used as a living room. Living room with two spaces and fireplace. Independent kitchen, attic perfectly conditioned, storage room and heated pool. Garage for two vehicles, and patio with built-in barbecue. Underfloor heating. Installation of diesel fuel and solar panels for heating, hot water and pool heating. In the center of Redueña, a small municipality in the Sierra de la Cabrera, between Cabanillas de la Sierra and Torrelaguna. Quiet and comfortable, surrounded by nature. Very well connected with Madrid through the Carretera de Burgos, business and industrial axis of the North of Madrid. 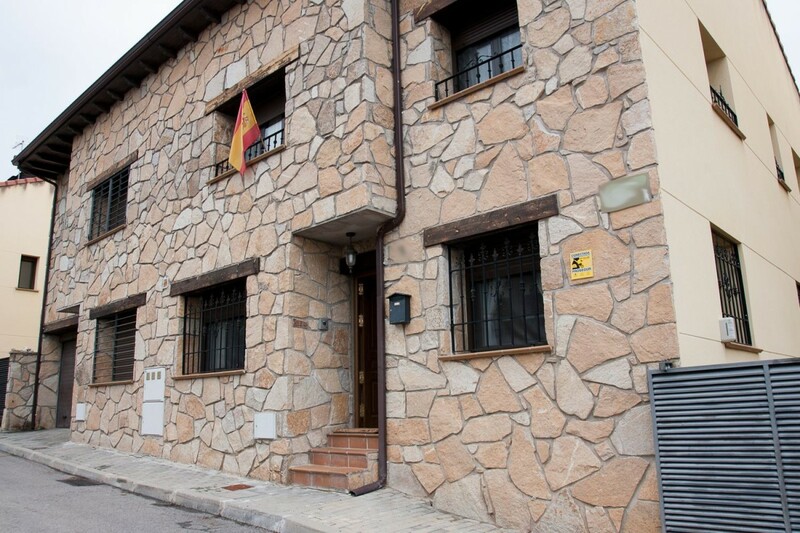 Wonderful terraced house in Las Mojadillas Urbanization (Valdemorillo) It consists of 311 m2 built according to cadastre. 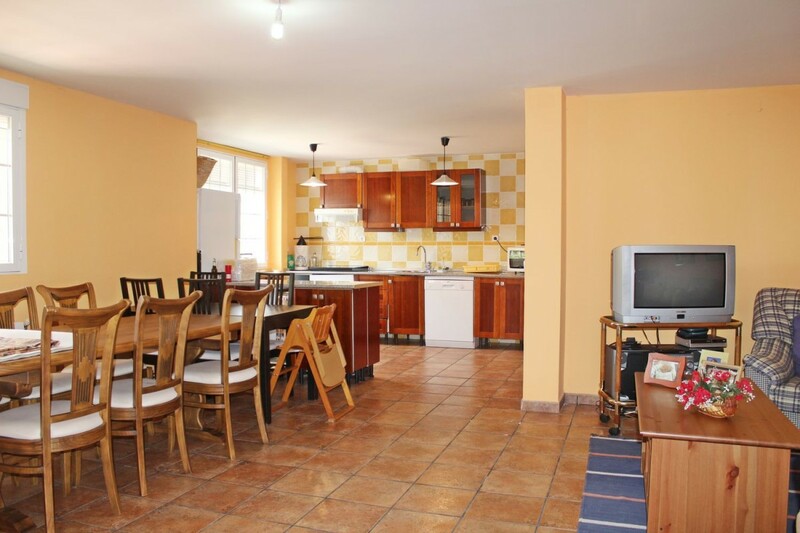 The distribution is as follows: On the entrance floor we have a very large kitchen, a toilet and living room with a terrace, 30 m2 and magnificent views of a pine forest. In addition there is a nice porch and garage. On the first floor there are 3 large bedrooms with fitted wardrobes, and 2 bathrooms, the master with en suite bathroom, From the master bedroom you have access to a beautiful terrace with great views. There is also another terrace-solarium from another one of the bedrooms On the top floor we find a large attic for the use of a room, a reading room, etc. On the ground floor we find the basement, diaphanous with bathroom and access to the garden terrace and barbecue. Beautiful setting in the countryside 5 minutes from Valdemorillo, 7 minutes from El Escorial, and 30 minutes from Madrid. Come and visit this magnificent villa in a privileged environment. Villa in Perales del Rio, GETAFE. Townhouse in gated community. House with 3 floors 85 m² / plant and attic space of 50 m². DISTRIBUTION: Ground floor; entrance hall with wardrobe (6m²), living room (32 m²) with terrace of 30 m² and garden conditioning with barbecue and access common areas, bathroom with shower (2.41m²), fitted kitchen and appliances (8 m²), drying rack, bedroom and communication stairs. 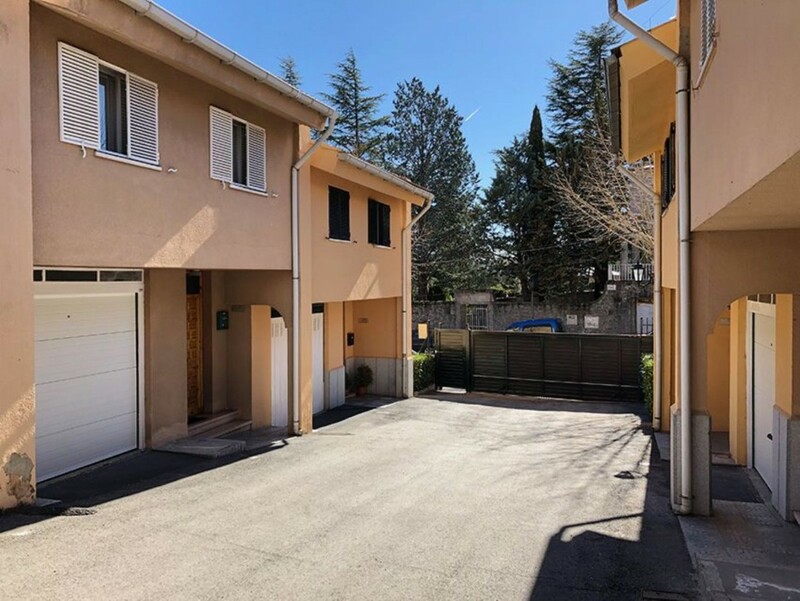 First floor; hall (2.46 m²), master bedroom with en suite bathroom and dressing room with two large built-in wardrobes (31.30 m²), full bathroom with shower (2.78 m²), 2 double bedrooms with built-in wardrobe (one of 9, 50 m² and another 11.70 m²). Plant under cover; diaphanous multi-purpose room of 50 m² and toilet. Basement: garage for four cars (63.20 m²) and storage room (1.45 m²). Plant under cover; multipurpose room of about 50 m², with the facilities on top to put bathroom if desired. Furnished kitchen with appliances all first brands (Bosch refrigerator, Teka ceramic hob, Teka oven, extractor hood, microwave). Individual heating of natural gas. Individual hot water for natural gas. Air conditioning in all rooms above ground. PVC doubles, folding leafs. In private courtyard of 100 m² with pergola. All materials of 1st quality. 12 year old farm. In perfect condition to enter to live. Urbanization of 10.000 m² of gardens, sports courts, swimming pools for children and adults, rooms. Urbanization without vehicle circulation in the common areas. Security guard 24 hours in summer months. PERALES DEL RIO, peripheral neighborhood of Getafe, communicated by buses is to Getafe Central and Villaverde Bajo (train station, metro south and metro). Direct access to M-45, M-40 and M-50. All services, sports centers, football fields, indoor and outdoor courts, shopping center (supermarkets, pharmacy, dentist, chiropodist, veterinarians) Cultural Center, green areas, playgrounds, church, nursing home, public school and all agreed upon levels, private school with route service. Clinic. ABSOLUTE TRANQUILITY.